I’m not sure if you knew this guys, but Colorado glamping is totally a thing. And truthfully, I think it’s awesome! I mean, I’m not such a camping snob that I don’t appreciate the finer things in life. And if you can enjoy those finer things while spending some time outside? All the better! Enter: Colorado glamping! And seriously, I kinda like the word. Glamping. It has a nice ring to it, doesn’t it? Will and I seriously toyed with glamping for the first two nights after our wedding. In fact, we found a beautiful yurt that was near our wedding venue, but alas…it was booked. How awesome–and fitting–would that have been?! All photos by Will Rochfort. 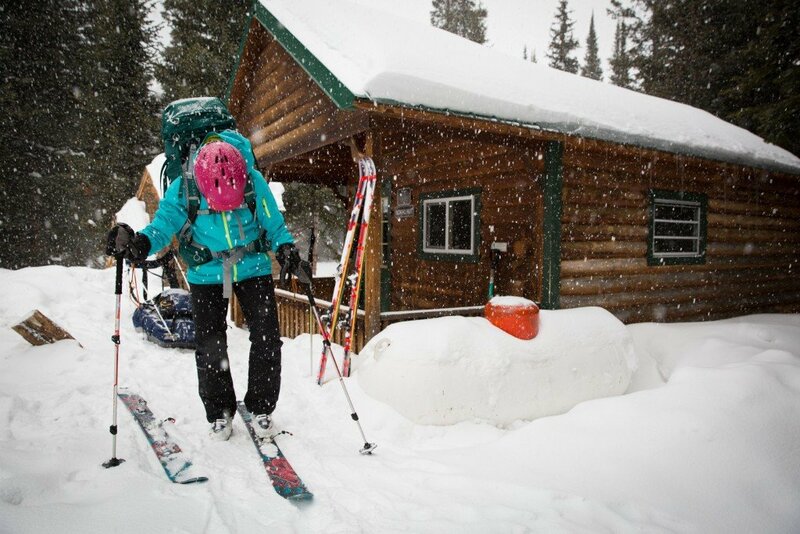 Of course, it’s not always going to be glamorous per se, but glamping does mean your accommodations will have quite a few amenities that you won’t find in the backcountry. Maybe you’re sleeping in a yurt; maybe it’s a nice cozy cabin in the woods; or maybe it’s raised tent on a platform with a woodfire stove and a plush bed. The bottom line is that you get to enjoy both nature and comfort at the same time. 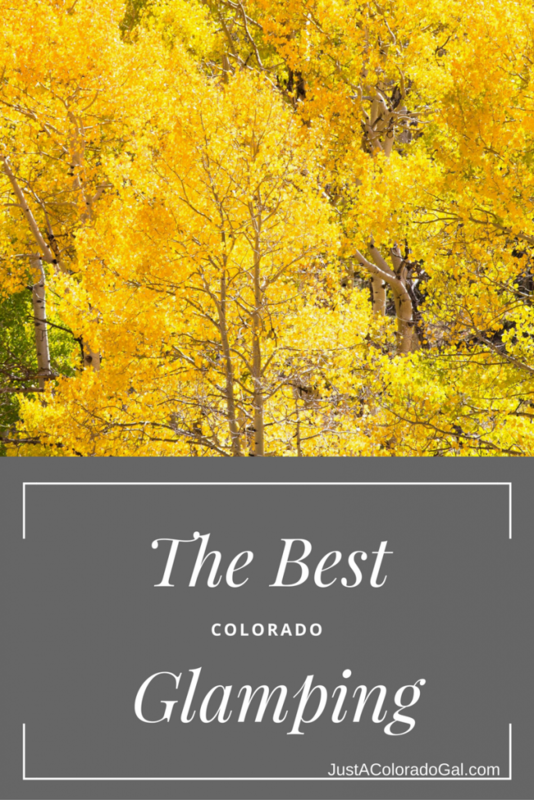 That’s why I thought Glamping Hub’s new Colorado Weekend Getaway page was so cool. They have rounded up dozens of various Colorado glamping options, and it’s so easy to peruse your choices– which would have been nice for our wedding night! 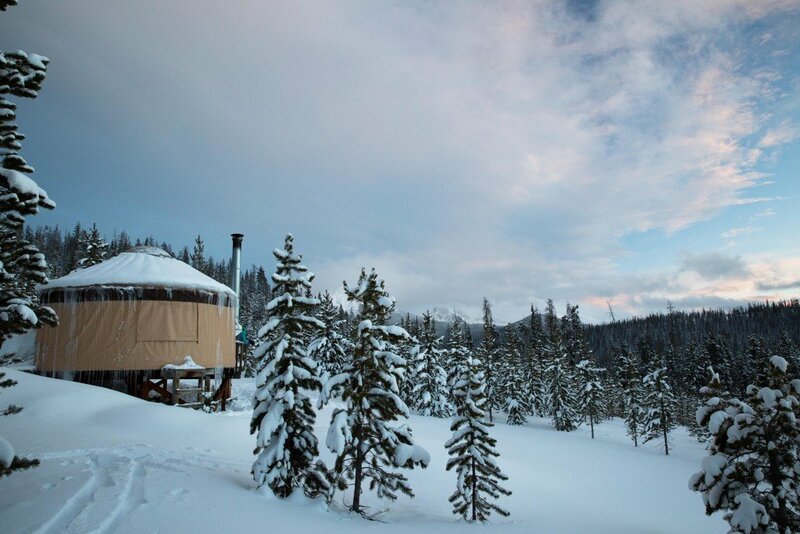 Luxury yurt camping near Denver? Check. Unique tipi retreat? Not a problem. 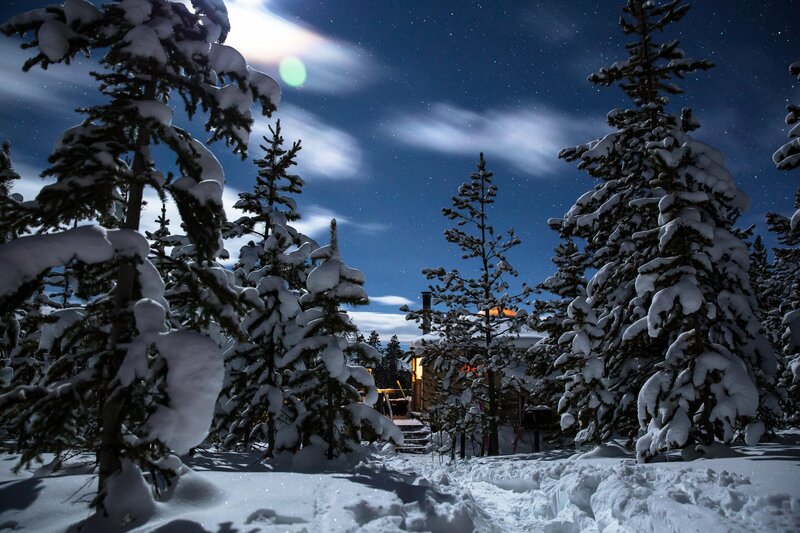 Romantic winter getaway options? All over it. The bottom line is this: if you are interested in finding a unique glamping experience in Colorado, hop over to their new page and check it out. I’ve already seen quite a few options that I want to visit with Will! Glamping is probably more my style in the winter – I’m not sure i’m up for actual camping in snow. So this is a great resource to know! Wow, that yurt looks amazing! I’m a wildland firefighter and occasionally I get to work at fire lookouts in the wilderness (when I’m not on the fireline or in the helicopter). Staying in a fire lookout AND getting paid for it…glamping at its finest! I like the occasional glamping trip … it’s just a completely different vibe. And I’ve always been a fan of yurts. But in 2014, we ran a B&B that specialized in tipis. And these things were glamping+!!! Is there anything you can’t do in Colorado? I kind of love the word glamping. This would definitely be more my style in the winter for sure! I like casual camping. Calling it Glamping is so douchy. Ew. 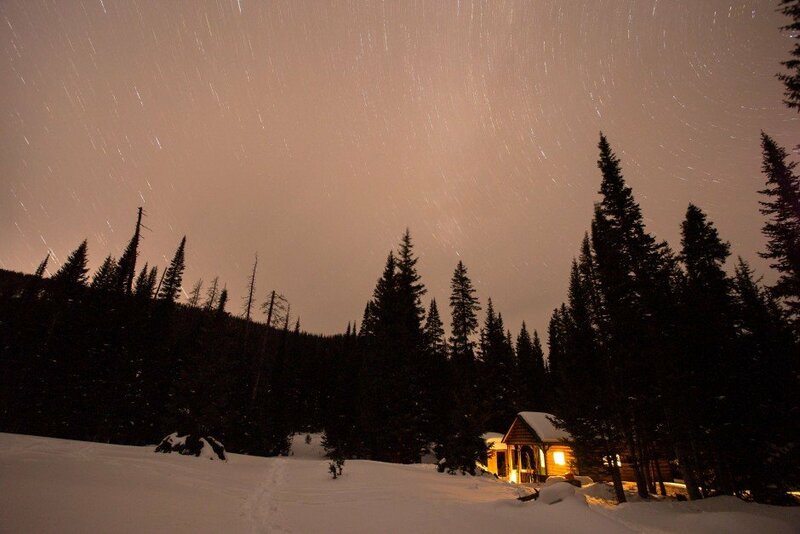 I really want to buy a small piece of land in Grand County and put up a yurt! I have to admit I really love glamping, especially now that I have a little one. Looks beautiful there!! I am so not above glamping! Whenever I go car camping I am absolutely obsessed with the fact I can bring a pillow, so obviously my standards are pretty low! 🙂 Would love to check out some of these places! I love camping, but I think that glamping may be the only way that I can get my friends to camp.I can’t imagine how beautiful that must have been too. Thanks you for the recommendations!